This is not an exam! It is a practical-experience exercise. There is no study guide as this is to mimmick the "real world" situation a coder would experience, thus giving you "experience." "The Virtual Experience is another option for you to remove the apprentice status. This is just another way for members who don't have externship opportunities near them and who haven't been able to find a job due to lack of experience. The 800 cases are challenging and cover many specialties. It's not multiple choice answers, you actually have to dissect the note and enter in the correct codes. This program covers all aspects of coding. This will not only remove your apprentice status but also teach you things you may not have learned in class. These are actual cases that you will see in the field. If purchased this year, you will need the 2010 CPT, ICD-9-CM: Vol 1 & 2, and HCPCS Level II code sets to use throughout the cases.'' Quote. Well said. Yes I feel the same way, because doing some browsing on the forum itself does so much good things in your experience; and when it comes to that of getting the -A removed really gives you a kick and your head up for another few more/much more degrees!! Well if we purchase it in December, and carryit on through the first few weekks of 2011 (say till march 2011), would it be enough we do those 800 challenges based on the current CPT and ICD-9 CM 2009/2010 and HCPCS2009/2010?, and get the A cleared? Natalie, I have a question, some one wants to have the answer: if a Nurse Practiioner or M.D Or RN with many years of clinical experience gets CPC , would she or he have some exception to have the "-A" removed with out getting into the coding department? I just recently signed up for this program, my employer paid for it which was the main incentive. I have been coding for almost 2 years now but figure this is a great way to gain experience since I work in physical therapy only. 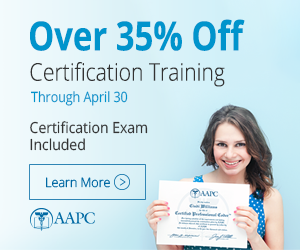 I just earned my CPC-A but want to gain knowledge regarding coding in all specialties and I think this is a great way since its not a multiple choice test. I do agree this may not count as real world experience for some employers but its a great way to practice.